Last year I tried out a pumpkin play dough made from pumpkin pudding. I wasn't overly impressed with it, but I loved the smell of it (as did the kids). I decided to try my hand at my own pumpkin play dough using canned pumpkin. 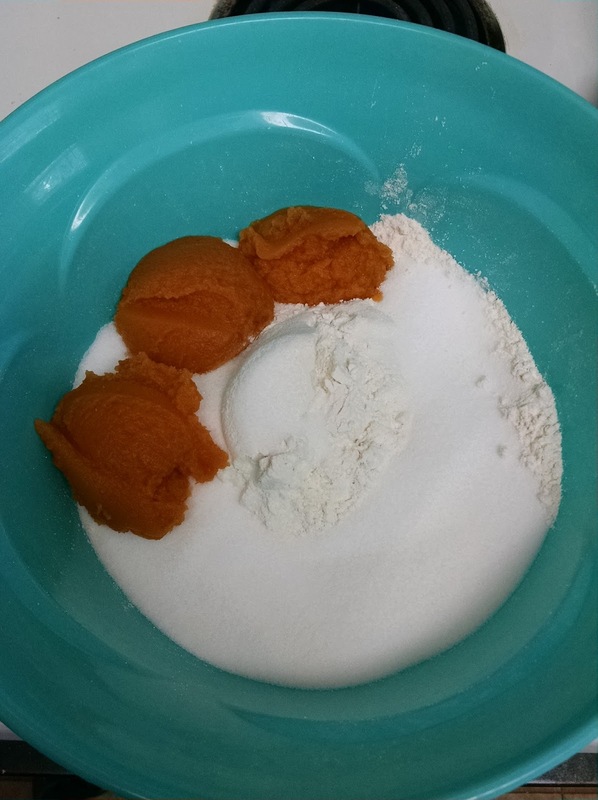 I started with our go to salt dough recipe and added the canned pumpkin to it instead of orange food coloring. Without taking into consideration that the canned pumpkin would throw off the salt, flour, water ratio I added in the regular amount of water. The dough was MUCH too watery and extremely sticky. To fix it I added in a bit more salt and quite a bit more flour (I did not measure how much I was using but instead went with a consistency feel). Once I had it so it was no longer sticky, I stuck it in a sealed container in the refrigerator (I'm unsure how the canned pumpkin would hold up or if it would mold) until it was ready for play time the next day. The play dough wound up being the perfect consistency. The kids concentrated hard on making pumpkin, leaf, and turkey shapes in the dough. 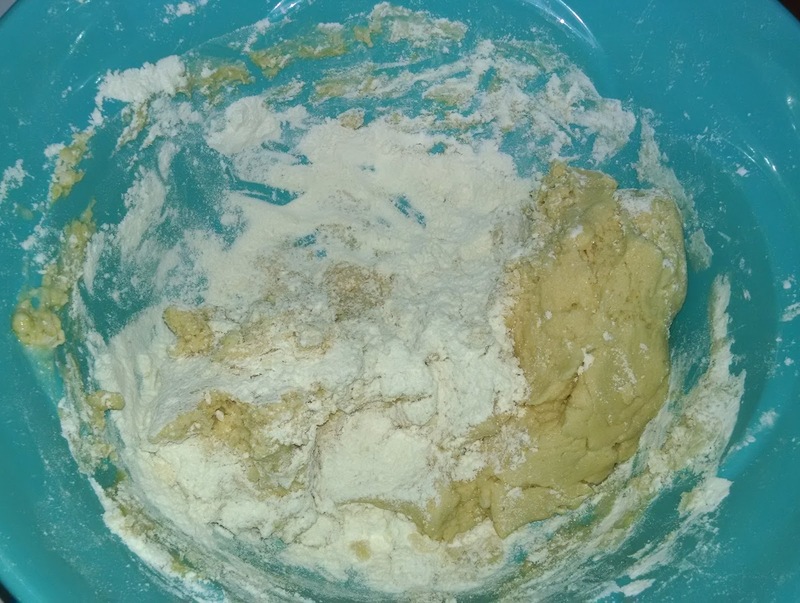 When they were done, it was an easy clean up and the dough was put back into the container in the refrigerator for playtime later in the week. Definitely a keeper for our future fall sensory activities!